Getting set up with Prompt take less than five minutes! 1. From the Dashboard Tab in CPP, click Add/Remove Modules. 3. Once Prompt is enabled, you will access Prompt from your CollegePlannerPro Students tab. 4. Once in Prompt, you will see sample student, Intuitive Ivan. 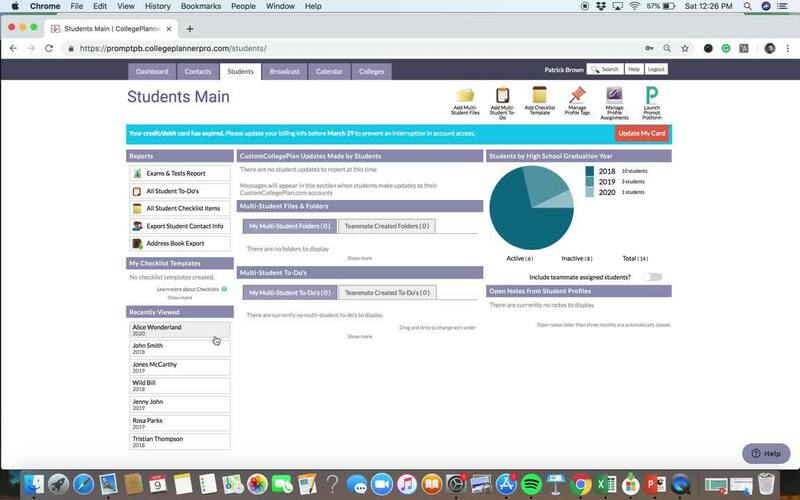 He is there so that you can fully experience the platform without using an actual student's account.